The merry month of May has come and gone, and it's sure been a memorable one! May is never in short supply of fun and festivities. Set on the smooth and curved Shoal Bay West, Covecastles is iconic. 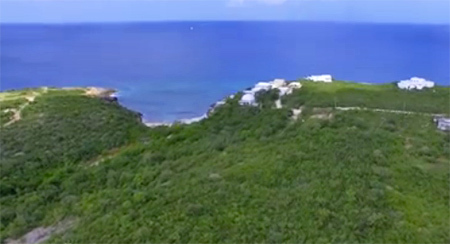 It was one of the original five-star Anguilla hotels that set the pace for Caribbean luxury back in the 90's. Today, Covecastles continues to exude a timeless, five-star feel as new life is once again being breathed into the property. Elegant and understated, Covecastles is synonymous with serenity. 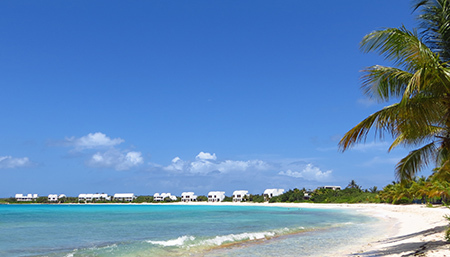 Right on the sands of Shoal Bay West, the resort is made up of 16 villas. 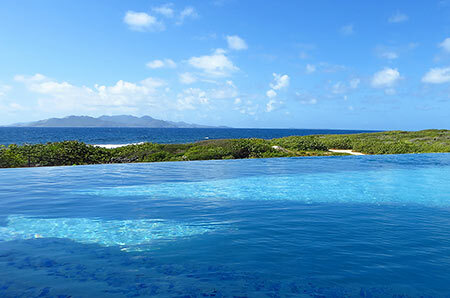 Each sits on the peaceful stretch of sand that gazes out to the Caribbean Sea and mountainous St. Martin. Inside Covecastles' villas, crisp white walls meet stucco tiled floors. Designer June Goldfinger perfectly captures a classic Caribbean essence with high ceilings, wide windows, rattan furniture and tropical landscaping. Private, luxurious, with a true Caribbean luxury feel, right on the beach and with sweeping views of "Tranquility Wrapped in Blue"... that is Covecastles. In the late 90's, Covecastles Restaurant was known as one of the region's best. The man solely responsible for that distinction? Chef Marc Alvarez. 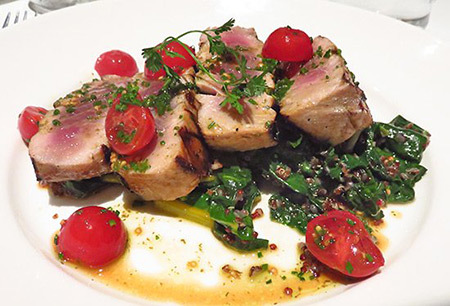 CN Traveler and Robb Report has raved over his dishes, the word "genius" often peppering their reviews. 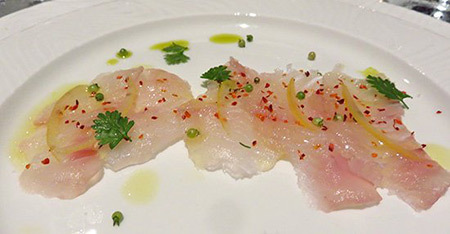 Known for creative and intriguing cuisine, his cuisine is taking Anguilla by storm once again. 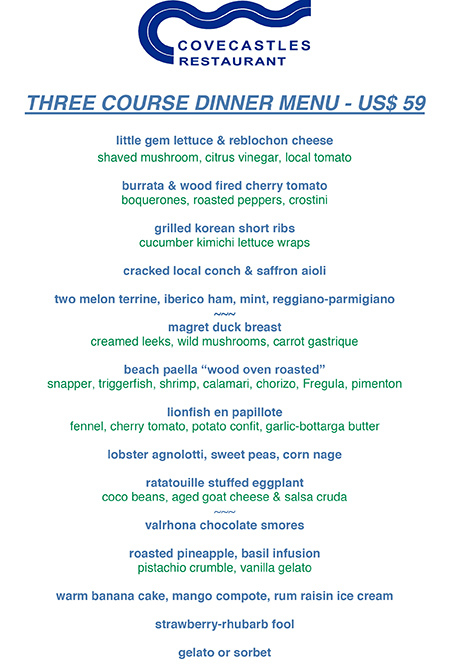 These were two favorites this season and we look forward to trying their NEW summer menu (see below). As for lunch at Covecastles? We have fallen in love with Chef Marc's Bronx-style pizza, the Bianca. 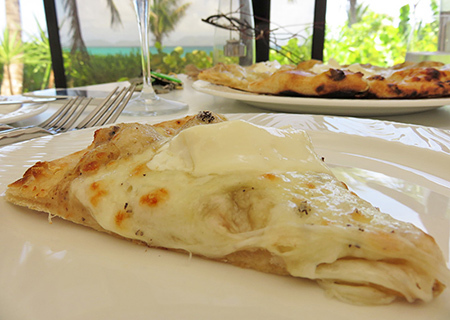 Topped with pecorino pepato, mozzarella, ricotta, truffle fromage and roast garlic, each bite is savory and indulgent. By day and by night, Chef Marc impresses on all accounts! 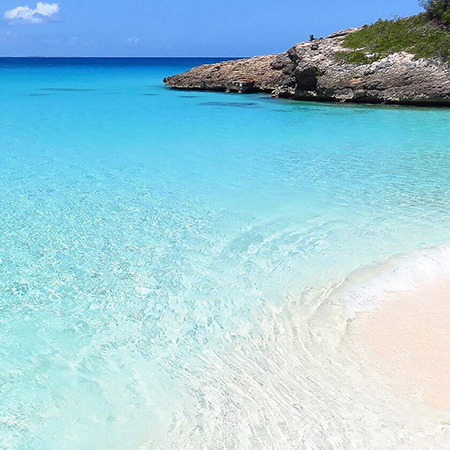 Click here for more on the Anguilla Card. If you like tranquility, you will love Tropical Sunset. 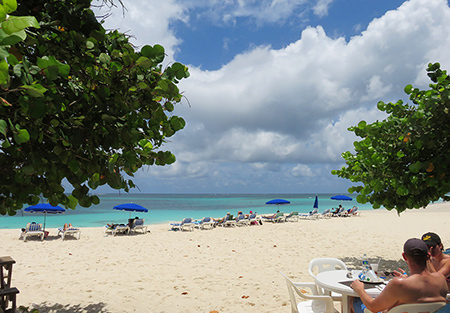 Set on the beach that's often called "the Caribbean's best," Tropical Sunset has carved out a quiet space on the popular Shoal Bay East. Located on the western end of the beach (before you reach Gwen's and Zemi Beach and after you pass Madeariman and Hank & Mac's), Tropical Sunset is peaceful. 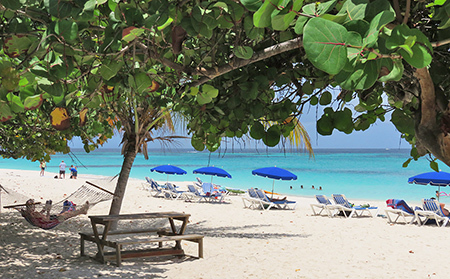 Their signature blue umbrellas and lounge chaises sit undisturbed with unobstructed views of the bright blue Shoal Bay. What's on the menu? Classic beach eats done right, including one of the best meals of all time... 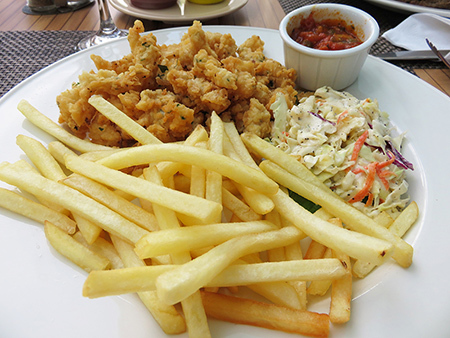 Tropical Sunset's famous Anguillan Cracked Conch with French fries and coleslaw. Light, fresh, fried to perfection and served with a marinara sauce, you're hooked at first bite! 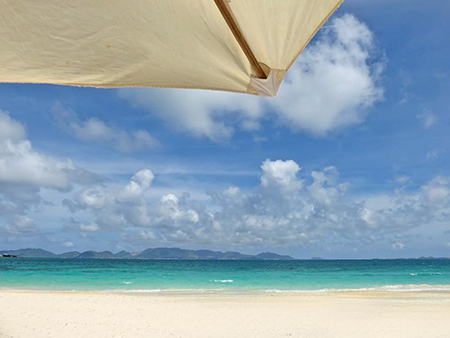 Click here to purchase the Anguilla Card. Established in 2012 (when it attracted just 22 players), "The Open" has grown dramatically over the years. Its reputation has spread quickly throughout the region. 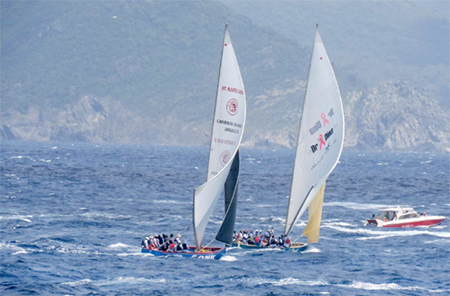 Today, it is known as one of the toughest tournaments in the Caribbean and pulls in close to 100 players from around the islands and the United States. 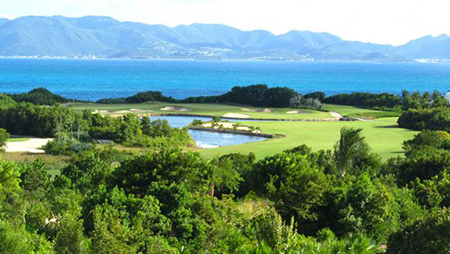 Beyond its challenges, CuisinArt Golf Club is stunning. Green and lush, the 7,000+ yard course is in immaculate condition. It is powered and watered by CuisinArt's solar energy plant, and the dedicated grounds crew work tirelessly to keep the fairways and greens tip-top. 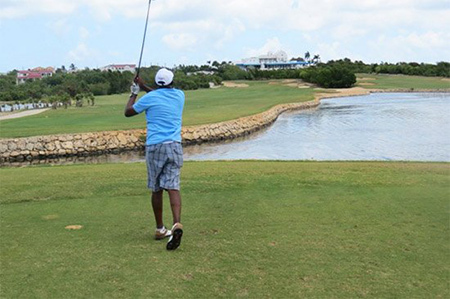 The Anguilla Open kicks off on Friday (June 10, 2016) with practice rounds and the opening reception (held in the clubhouse). Round one (18 holes) is held on Saturday. The tournament closes on Sunday evening with the awards ceremony, after round 2 (18 holes). If you will be in Anguilla this weekend, it's sure to be a tremendous event! 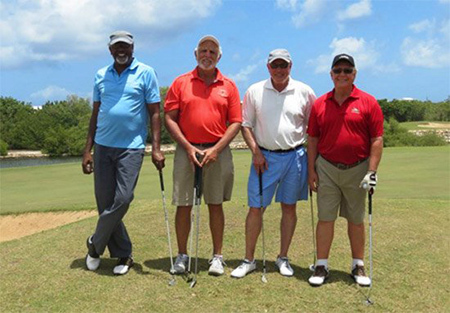 More on the Anguilla Open. 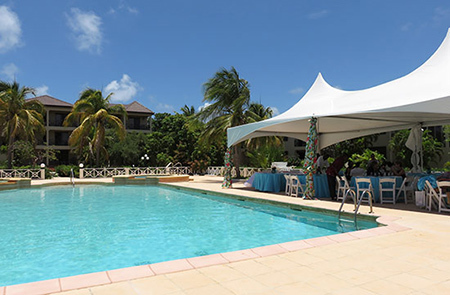 Established in 2011, Anguilla Lit Fest has been growing in popularity year on year. A celebration of literature and self-expression, held in one of the most coveted Caribbean paradises, it's no surprise that Anguilla Lit Fest (AKA "Lit Fest") has attracted big names right from its inception. Guest speaker-led workshops and presentations, discussions and cocktail parties all make up the Lit Fest events. On the 5th Anguilla Lit Fest, one particular event caught our eye, "Crime That Pays - Mysteries and Thrillers," a panel discussion that was to be moderated by former publisher at St. Martin's Press, Mr. Dan Weiss (publisher of The Vampire Diaries and Sweet Valley High). It was time to find out what Lit Fest was all about. To see what unfolded on this inspiring weekend, read more here. On the culinary capital of the Caribbean, Tequila Sunrise Villa's tremendous new special lets you taste even more of Anguilla! For all NEW direct bookings, a $100.00 restaurant gift certificate is included for every night of your stay. That special also includes limitless ice-cold Patron and daily turn-down service! See more on Tequila Sunrise Villa here. 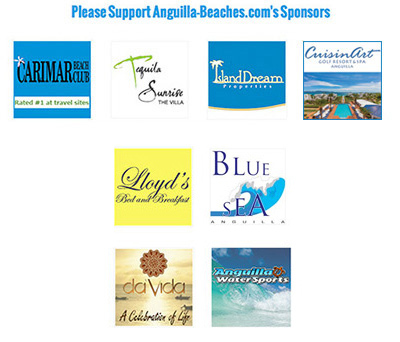 Help Anguilla Establish a Blood Bank & Enter to Win a Piece of Anguilla! Since its inception in 1978, the dedicated and hard-working Rotary Club of Anguilla has been motivated by one shared goal... Be a gift to Anguilla! Their next gift to Anguilla? A blood bank for Anguilla's Princess Alexandra Hospital. The cost of the blood bank? $100,000 USD. The good news? If the Rotary Club of Anguilla raises $50,000, the Rotary Foundation will match the amount and donate the remaining $50,000. And so, the mission to build a blood bank is on! 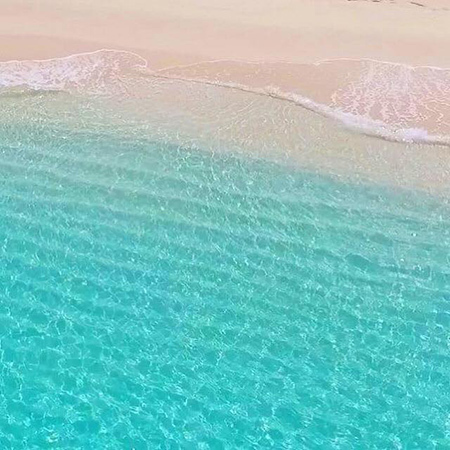 To raise the funds, the determined and hard-working Rotary Club of Anguilla has put together an enticing raffle... A chance to win your own piece of Anguilla. Click here for more information on how you can help establish Anguilla's blood bank & enter to win a piece of Anguilla. Manoah has been a hot topic of conversation ever since its development began a few years back. Manoah takes the place of the area's former hotel, Ku. The previous hotel structure was completely torn down and is being re-built from the ground up. Hotel construction is nearing completion with a few beachfront units already finished. 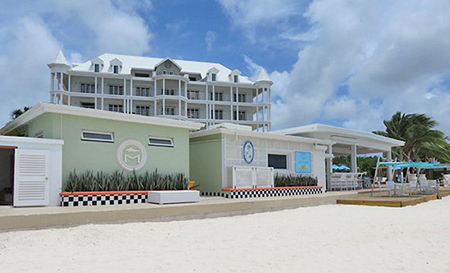 While hotel construction is wrapping up, Manoah's restaurant and bar, called "The Manoah Ocean Beach Club," is officially open. 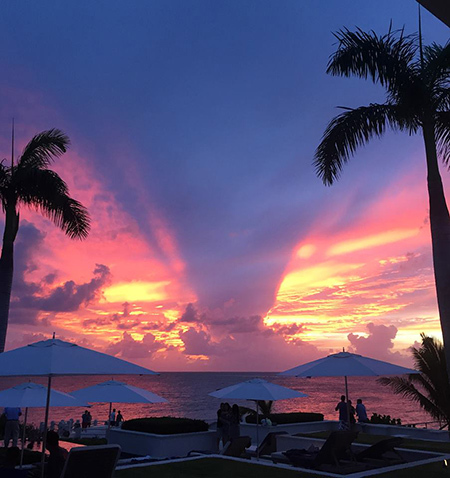 Manoah's Ocean Beach Club takes your breath away. 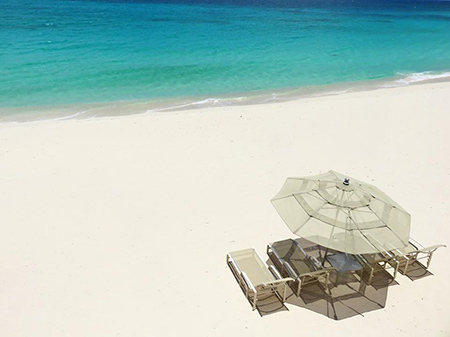 Expansive, sparkling and right on the beach, Manoah is a first class seat on Shoal Bay East. The restaurant and beachfront setting really dazzles the eye. It blends a French, St. Barths-chic feel (word on the street is the developer has ties to St. Tropez and that influence can be felt throughout the property) with that laid-back air of unpretentiousness characteristic to Anguilla. 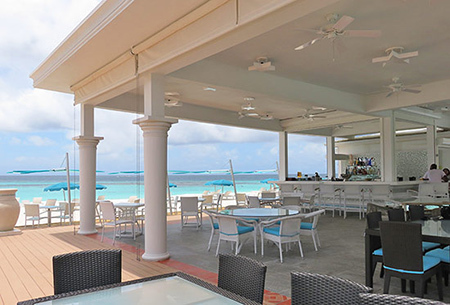 As time goes on, Manoah is sure to become the place "to see" and "be seen" on Shoal Bay East. Read the full news report on Manoah here. 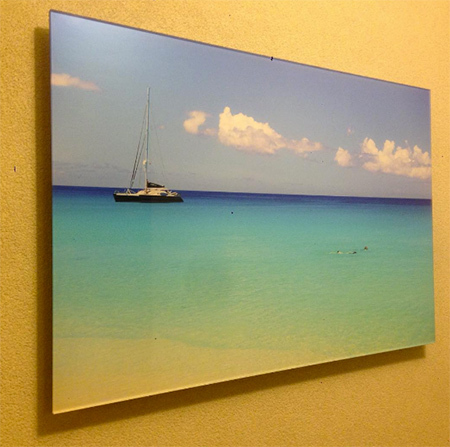 Derrys Richardson of Signature 7602 Studios is Anguilla's go-to "man behind the lens." He is one of the island's most talented and most sought after photographer. One look at his photos (click here for his Facebook page), and it's not hard to see why Derrys' work is so well loved. His photography is vibrant, rich and simply timeless. 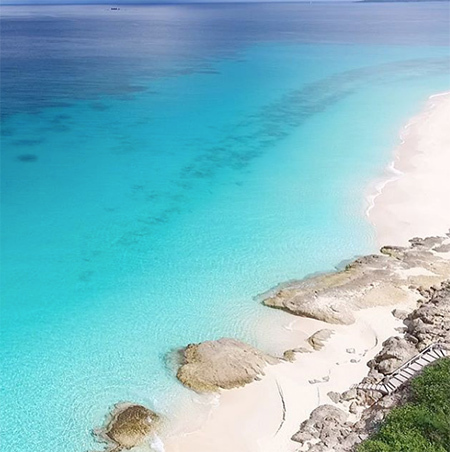 He captures Anguilla beautifully. 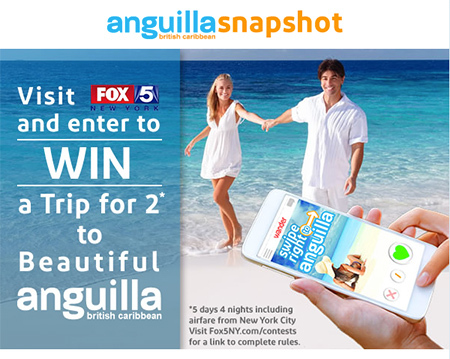 Win a Trip to Anguilla! Together with Fox News, they are holding a fun contest with a great prize... 5 days/4 nights at Arawak Beach Inn and round-trip airfare from NYC. Lastly... do you know this "Stairway to Heaven?" After posting these photos to Facebook and Instagram, we have received many questions asking for its exact location. 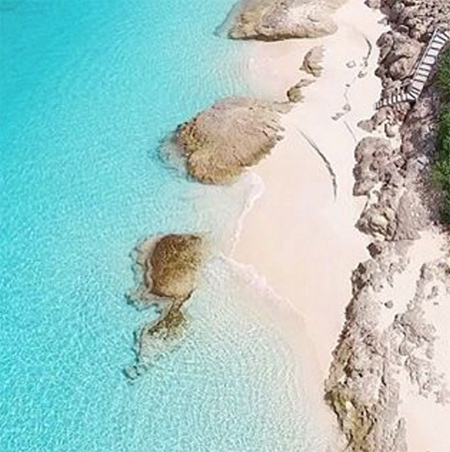 And so, tomorrow (weather permitting), we are set to adventure - in hopes of finding this stairway, stepping foot on its beach and sharing its true location with you! If you would like to join in the fun from the comfort of your own home, follow us on Snapchat to get live updates and follow the journey to the stairway in real time. See you tomorrow & talk to you soon!